All the participating teams need to make sure if their accommodation option has access to these transfers. Please check with the organisation if your participation includes this service. Keep in mind that if you have contracted this service, the transfer doesn't cover all the accommodations. Contact us if you have any doubts about this matter. If the same team has two (2) matches or more calendarized on the same day and in the same complex, in the morning and in the afternoon, the organization will only guarantee the transportation of these teams in the morning period, for the first game, and in the afternoon period, after the last match, if your meal package doesn't include breakfast in the hotel. If your participation package includes lunch in the hotel, even if you have two (2) matches or more calendarized on the same day and in the same complex, in the morning and in the afternoon, the organization will guarantee the necessary transfers for the fulfilment of the matches of your team. If your club is participating with 2 or more teams, please keep in mind that all teams may travel in different transfer buses, even if it is predicted that they leave from the same hotel, at the same time, to the same destination. All teams must respect the transfer times that are pre-defined for the games, and cannot use this service outside of the scheduled times even if they wish to go and see a game of a different team, from their club or not. No transportation service or system is included or in place in the days prior to and after the tournament. The teams travelling to the tournament should inform the IberCup about the flight schedule 45 days before the tournament starts. If you informed us after this date the tournament will not ensure this service. The airport transfer is exclusively for teams thus not for accompanying people that don’t book the accommodation through the IberCup. It is not permitted for relatives to enter the bus if they have not reserved accommodation with IberCup. If you have contracted this service, be aware that the service is only for one-trip on arrival and one-trip on departure. If the team arrives or departs on various flights with various arrival/departure times, and if the groups are less than 20 people, IberCup cannot guarantee various transfers, but only one group transfer. The team leader will have to choose just one time for the group transfer, or contract various transfers with the respectively associated cost for each transfer as this service is contracted as one-trip on arrival and one-trip on departure. Price is per transfer. If the team arrives or departs on various flights with various arrival/departure times, and if the groups are less than 20 people, the team leader will have to choose just one time for the group transfer or contract various transfers with the respectively associated cost for each transfer. There are other airport alternatives to arrive at our tournament. Florianopolis 525km, Curitiba 715km, Montevideo 804km, Buenos Aires 1305km. Extra cost will be charged if the services go beyond 10h per day or 200 km per day. Any delay that is of the responsibility of the transportation company, IberCup reserves the right to exempt themselves from any responsibility, in the case of breakdowns, accidents, delays or any other incidents derived from the use of this transportation and that could implicate the team not showing. 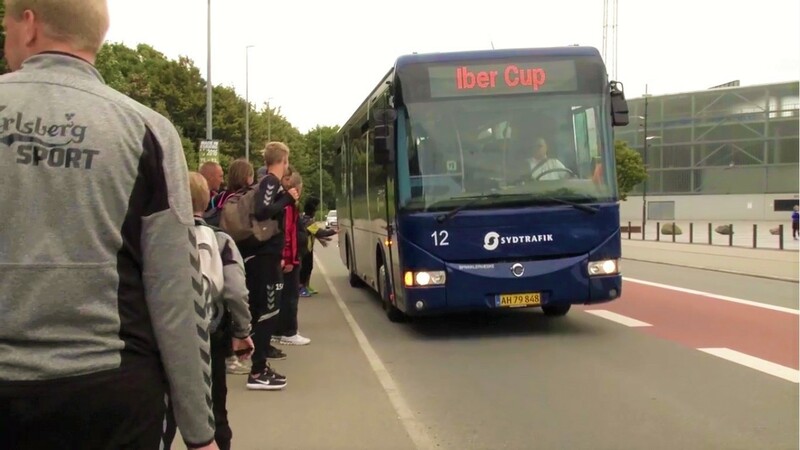 Teams can book their transportation directly with the transportation company (information on our website), however, IberCup will not have any responsibility in regards to plans and schedules between the team and the company. Thanks to our agreements with several airlines, you can book your flights through IberCup and benefit from special prices. Please contact us for any assistance of our flight manager and request your budget. If you are travelling to Brazil by plane the best easiest way to travel is directly to the Porto Alegre - Salgado Filho International Airport. In case of delay caused by flight or transport issues, please advise our organization as soon as possible if any amendments are required, so we can adjust your arrangements wherever feasible. Arrival and departure hours in each city are indicated at the local time of the respective country and according to the timetables of transport companies and therefore are subject to change. On trips that include transport by bus the hours indicated have approximate character. We dont get any responsibility on delays due to technical or other reasons related to the means of transport, with the companies or due to natural causes. If you travel by plane, after passing through customs at the Airport your group will be met by the IberCup welcome desk. We will meet you in the arrival hall where we have a welcome desk. You will receive some information over the IberCup and your stay. We advise you to reconfirm your return transfer to the airport as soon as you have arrived at the tournament. If you travel by bus, you must go to the accreditation point after you make the check in at your accommodation. During this meeting you will receive detailed information about meal time tables, tournament game schedule, excursion options, etc.